-CJ Cheil Jedang has expanded its global bio-business portfolio with the acquisition of Chinese amino acid producer Haide. -Expansion marks entrance into the global functional amino acids market worth KRW 1 trillion, giving it a firm foundation to advance into the medical-use amino acid market. 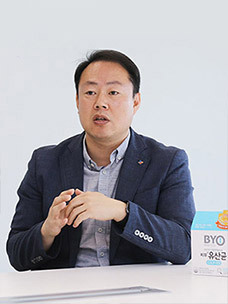 -Seeks to generate sales of KRW 400 billion by 2020 for a 35 percent share of the global functional amino acid industry, making it a leader of eco-friendly bio fermentation technology. 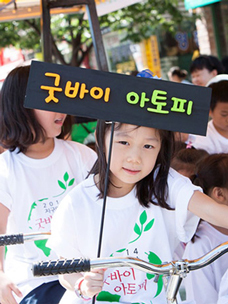 CJ Cheil Jedang, a leading manufacturer in the global feed amino acids industry, has entered the 1-trillion-won market for functional amino acids, which are used to make health supplements and cosmetics. CJ Cheil Jedang said on March 21 that it had signed a deal to acquire Haide Biochem Co. Ltd., a Chinese manufacturer of amino acids. The company will acquire a 100 percent stake in the Chinese company for KRW 36 billion. Founded in 1986, Haide has two production lines in the Ningbo Economic and Technological Development Zone, Zhejiang, China, and has proven expertise in refining technology, which is the core of functional amino acid production, with some 300 distribution channels and global customers. The acquisition will increase CJ Cheil Jedang’s portfolio of amino acid products to more than 40, including functional amino acids and amino acid derivatives. CJ Cheil Jedang is expected to use Haide’s expertise in refining technology in conjunction with CJ’s strength in fermentation technology by integrating end-to-end processes for material purchase, research, production, and sales to generate greater competitiveness for future growth and business opportunities. Over the next five years, the company plans to launch a large-scale investment program to develop core technologies, improve facilities, and recruit talent. This investment program will enable it to expand its business to include medical-use amino acids, such as rehydration solutions and amino acids for infants. 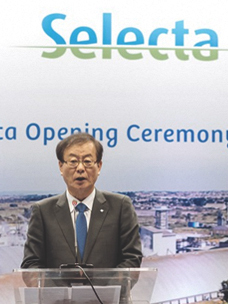 The company expects the investment program to generate sales worth KRW 400 billion by 2020. This would give it a 35 percent share of the global functional amino acid industry, making it one of the top three players in the market. The company is also seeking to become a global leader in all sectors of the amino acid industry by diversifying its businesses to include medical-use amino acids. Functional amino acids are used in a wide range of products, including foods, beverages, health supplements, cosmetics, daily necessities and fertilizers. The key components include cysteine, methionine, glutamine, arginine, valine, leucine and isoleucine. Depending on the type, they are known to be effective in boosting the immune system, improving the skin and hair, protecting cells, relieving fatigue and improving physical stamina. The market for functional amino acids is growing at an annual rate of ten percent, not least because their chemical structure has become a basis for future and high-tech biomaterials. Based on the takeover, CJ Cheil Jedang plans to continuously expand its business by developing products based on eco-friendly biotechnology, maximizing sales of high reward products, and attracting new global customers. In addition, the company is also planning to rise as a global bio-company by strengthening its competitiveness in food seasonings (nucleic acids and MSGs) and amino acids (for animal feed additives, functional and medical use) and by expanding its business lines to include various industrial materials (white bio) which can replace chemical products.